Perplexing puzzles. Curious clues. Twisting plots. Adventure and intrigue. No batteries required. Extraordinary stories for extraordinary kids. Our family LOVES interactive puzzles and mysteries. On Bob’s and my last anniversary, we spent it with eight other strangers playing a fun interactive mystery game at the Austin Puzzle Room. I’ve recently gotten my oldest child addicted to scavenger hunts. I created one for her that took her all around the house and she has paid me back ten-fold. At any given moment, she will slip me a piece of paper and say, “Here’s your first clue!” Boy, does she have some tricky ones, too! When I first heard about the new Mail Order Mystery for families, I was intrigued. While my youngest is a little too small to play this game as a family, Brooke is just the right age to play the mystery game with us. Let me start by telling you all about Mail Order Mystery, our own personal experience, and then tell you how you can get your own! What is Mail Order Mystery? 1. Choose your Mail Order Mystery and order it. 2. Let us know who the mystery is for and when you would like it to begin. 3. Receive an order confirmation and download a gift note for the recipient. 4. Parent(s) or guardian(s) get an email announcing the beginning of the mystery and explaining the process. 5. A series of letters, documents and curious objects begin to arrive in the mail, all connected to an ongoing mystery. 6. After several weeks the story comes to its exciting conclusion. All is resolved. 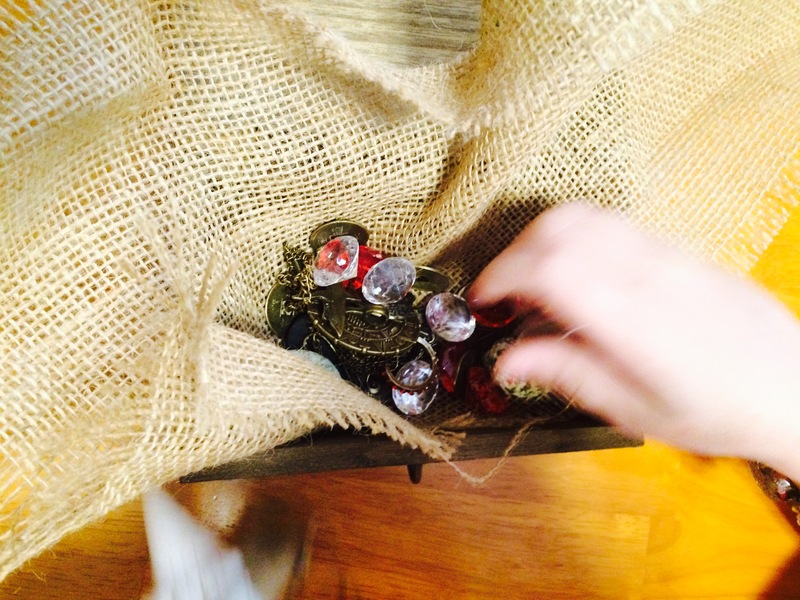 The final mailing contains an artifact or collection of keepsakes related to the mystery. That’s right! Mail Order Mystery doesn’t just arrive in one box, there are a handful of mailings delivered to your door in order to solve the mystery. How exciting! 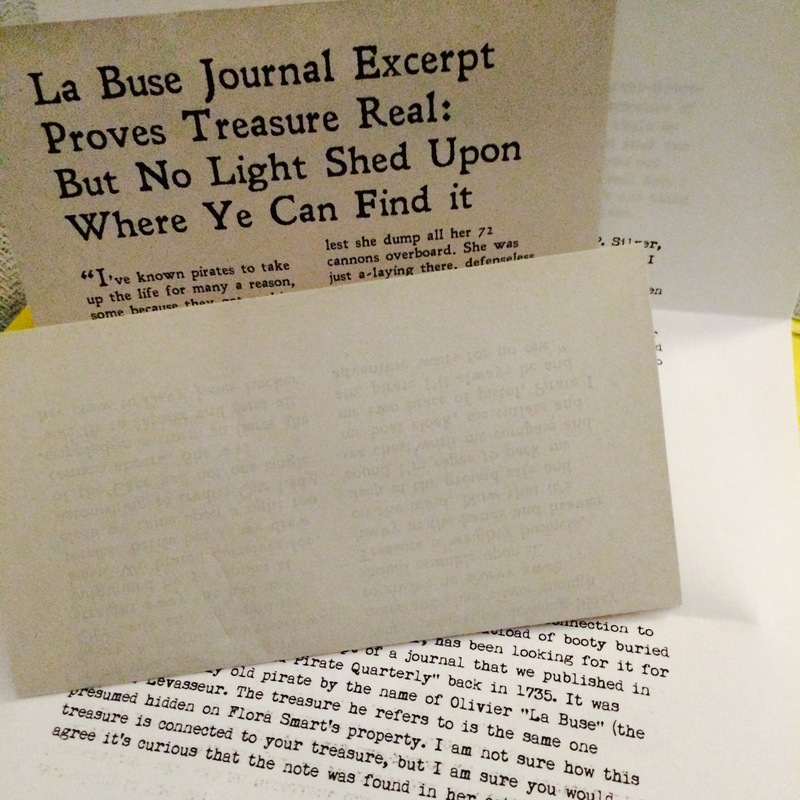 In the Treasure Hunt Mystery Box, you actually receive SIX different items in the mail to complete the puzzle. This was exciting for my entire family and we were ready to get started from that very first mailing. Mail Order Mystery Theme. Each new box contains a special theme and ours was the Treasure Hunt Mystery, which is right up our alley. We LOVE pirates, as my readers already know! As I reviewed the website i learned more about what these mailing entail such as maps, keys, curses, and – sharks? Ok. I’m down. 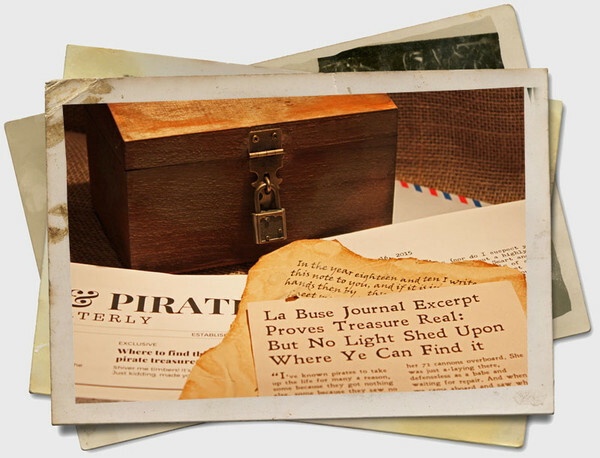 This mystery is all about hidden treasure and scheming pirates and the story begins with the very first letter from a women on the other side of the world who has a key from a long-dead pirate who happens to be your Great-Great-Great-Great-Great-Great Grandfather. 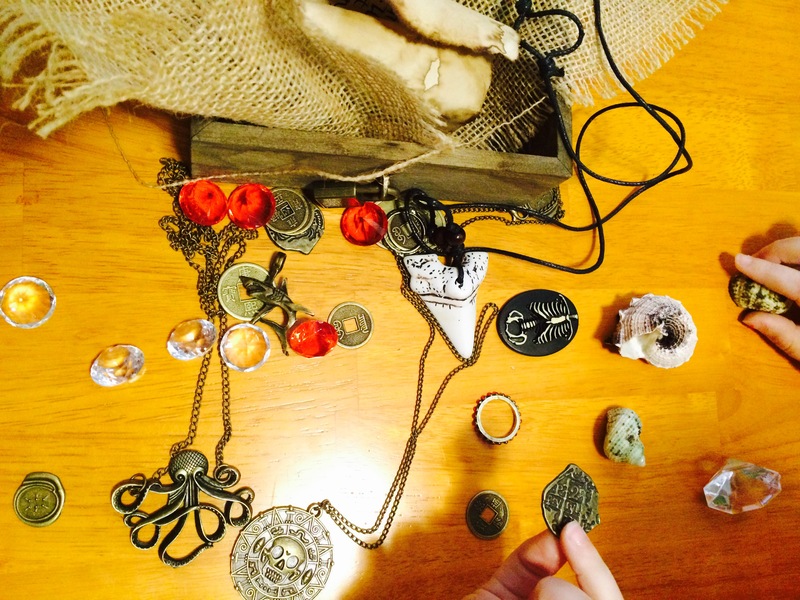 The details include that there is a family fortune this pirate hid away and it’s up to your family to find the treasure without double-crossing any pirates. This will be a challenge, because who knows when a pirate’s telling the truth, yaarrr? Read! 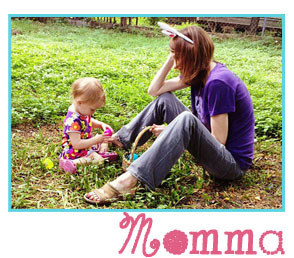 Check out their FAQ page HERE! 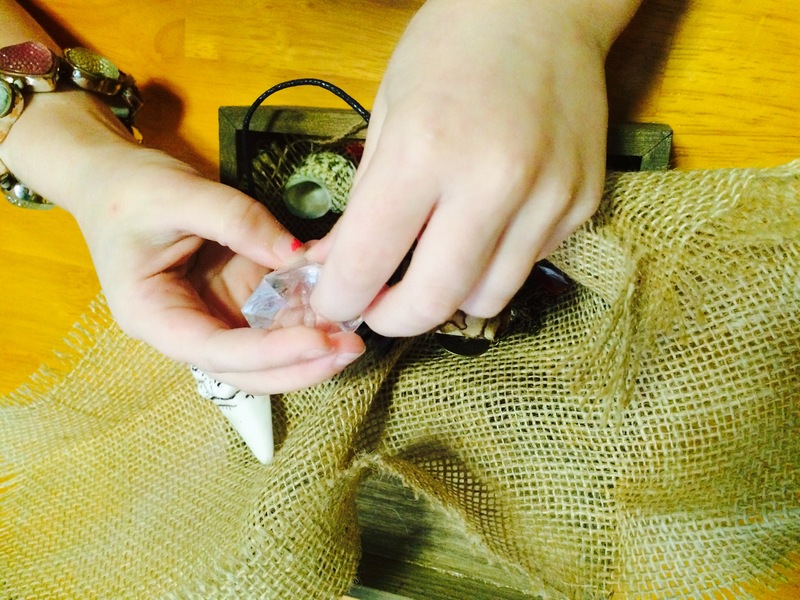 Our Mail Order Mystery Experience! The first thing we received from Mail Order Mystery was the order confirmation with a note discussing the upcoming mystery. It’s for the adults who purchased the experience, but it was also fun sharing the upcoming adventures with my kids. It got us all excited and Brooke started to check the mailbox every day to see when the first mystery letter would be received! 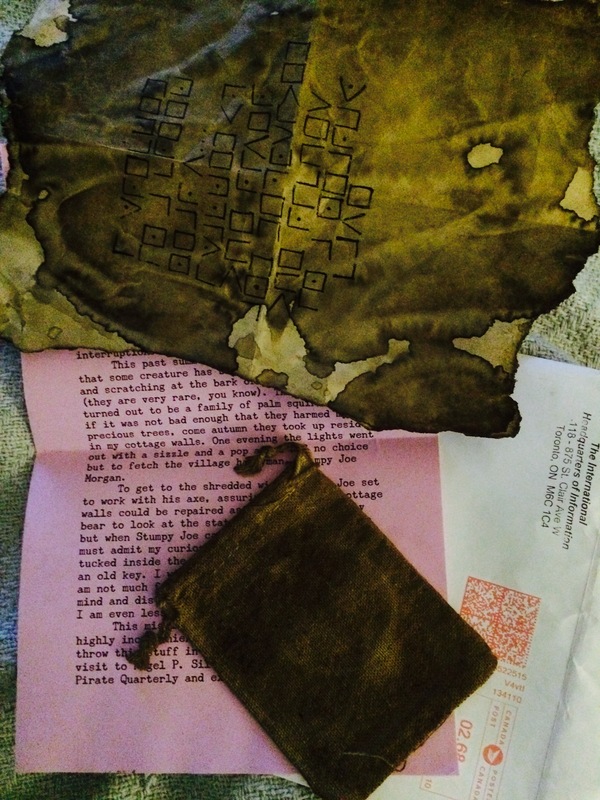 Mailing #1: Within a few days we received a letter from “Flora Smart” along with a key and an ancient note from our “Great-Great-Great-Great-Great-Great Grandfather”, a pirate with buried loot. The ancient note was convincingly made to look like an ol’ pirate letter and on the back of it is strange markings we will need to decipher – but not without help from our next mailing from a local historian. It is up to US to find – and keep safe – our family fortune! As stated in the note, if there are any double-crossers out there: beware the Dread Pirate Curse! Oh, this is going to be FUN! 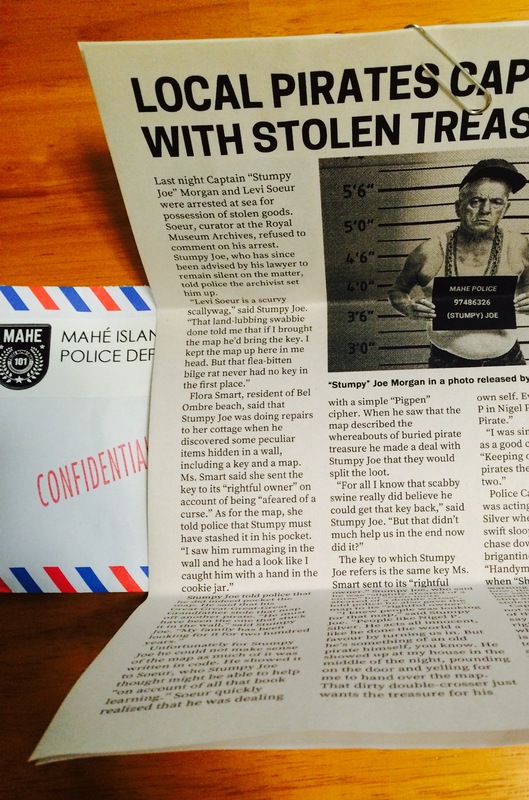 Mailing # 2: A week after we received our first mystery letter, we got a second letter in the mail that included a copy the publication “Shark and Pirate Quarterly”, sent by editor and local historian Nigel P. Silver. We got a few tips on figuring out a message within the magazine and we were ready! Oh, this is getting good! Were we able to decipher the special pirate code? I’ll never tell – in this blog post anyway! Yar har har, mateys. 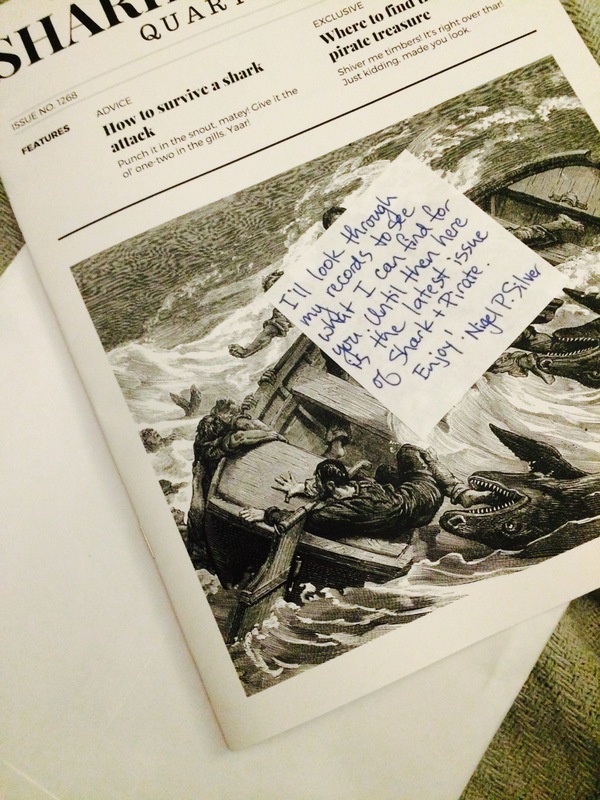 Mailing # 3: Almost a week later, we received another letter from the local historian Nigel P. Silver that included an article from issue #148 of the Shark and Pirate Quarterly that proves Flora Smart and her nephew (who happens to be the curator of the Royal Museum Archives! Yikes!) may have an interest in treasure of their own. Nigel suggests setting sail to find the treasure which he believes may be buried in or around Flora’s cottage. We decided we would think about that one *wink wink* and we did enjoy Nigel’s story of how the girls’ Great-Great-Great-Great-Great-Great Grandfather received his very hilarious pirate name. There was also another message to decipher. We all think this will not be the last we hear about Flora and her nephew! Mailing # 4: A second note from Flora Smart comes within a few days of letter three and this time Flora provides a map back from Stumpy Joe. In this shocking set of events, she exclaims that her nephew is a good boy, but had a bit of ‘treasure-fever’ and was trying to throw us off with his earlier letter. There are discrepancies to which pirate had the treasure, so it’s either from our family history or that of Mr. Booty Man. The question is, do we believe FLORA? 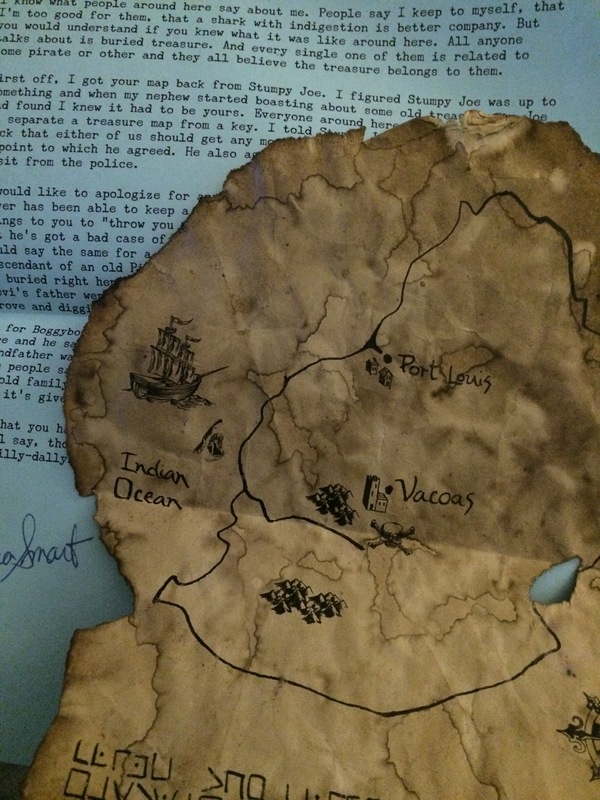 The map contains another message to un-code and a map that shows where, we think, the treasure is buried. It may be time to cast sail for un-chartered territory. Mailing #5 and 6: The police have caught the pirates red-handed and they are sending the treasure back to you, the “rightful owner”. Check the keys to see which one fits the lock. Ah ha! This is the moment we’ve been waiting for!!!!! This has been one of my most favorite reviews I have done in almost five years of doing blog reviews. 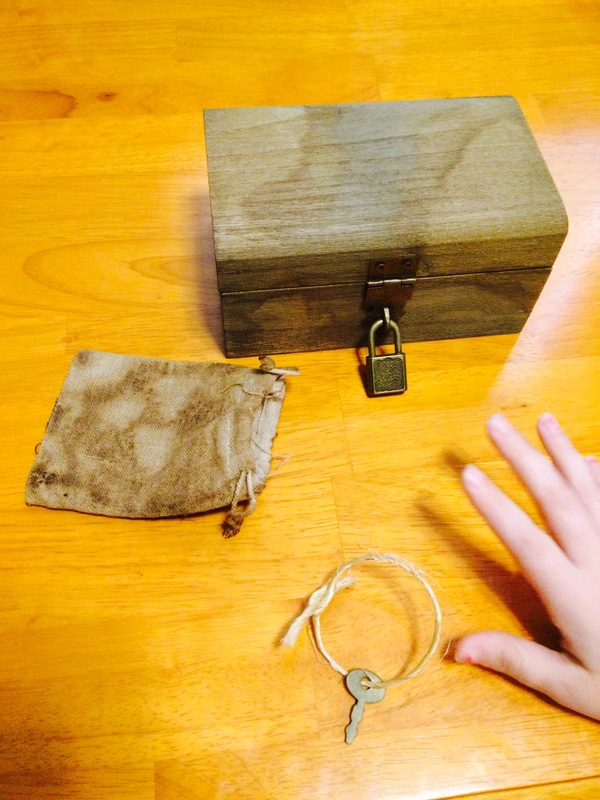 I loved every minute of the Treasure Hunt Mystery Box and so did Brooke and my husband. All of the old letters, keys, maps, de-coding; it all felt so real. We waited for each new letter to come and greatly anticipated the outcome. It’s an elaborate game, and any puzzle lover will find this highly entertaining and it’s MONTHS in the making. Impressive. Mail Order Mystery has lived up to its name and their phrase, ‘Extraordinary stories for extraordinary kids’ is something I agree with 100%. 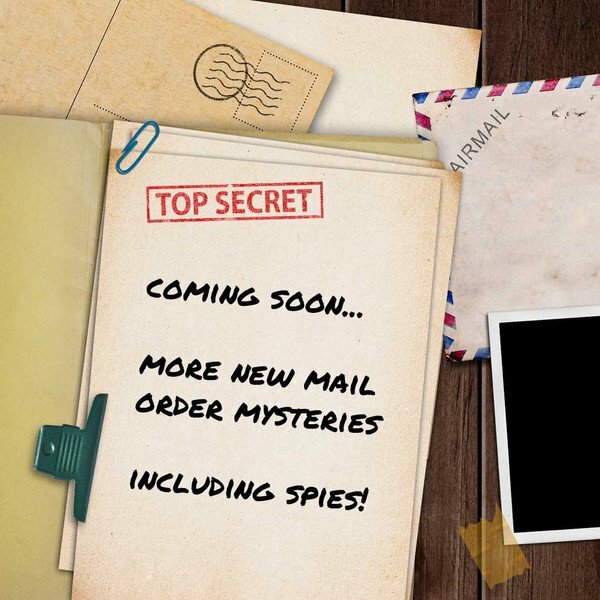 I have some fun scoops, too, that Mail Order Mystery will soon be releasing a spy mystery and a fairy tale mystery box, so check back on their website below for those updates this summer and fall. Two thumbs up for making Mail Order Mystery as exciting for parents as it was for my oldest child. Wow! I miss the adventure already!